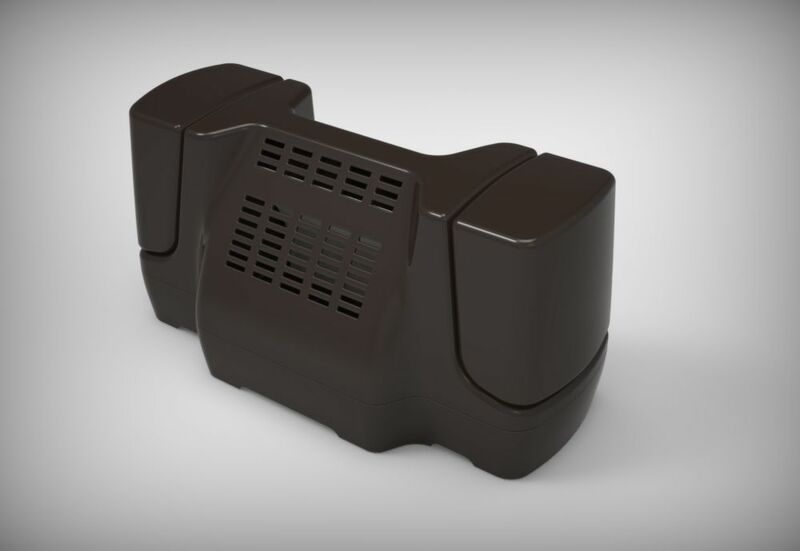 Rumidifier Room Humidifier is an extremely energy efficient and Eco-friendly Humidifier that works without any electricity. Rumidifier is powered by the dry air circulating from central furnace whereby the forced air coming up through the heat register passes through the Rumidifier unit and blows out moisture-laden air into the room. The unit is very easy to install over any floor vent and provides quiet operation with low maintenance. It also has the added convenience of being Cordless and Compact. 5 year limited warranty against any manufacturing defects in materials or workmanship. The warranty does not cover the Filter element. Eco-Friendly 4 Litre Room Humidifier - (4-Pack) (Brown) Rumidifier Room Humidifier is an extremely energy efficient and Eco-friendly Humidifier that works without any electricity. Rumidifier is powered by the dry air circulating from central furnace whereby the forced air coming up through the heat register passes through the Rumidifier unit and blows out moisture-laden air into the room. The unit is very easy to install over any floor vent and provides quiet operation with low maintenance. It also has the added convenience of being Cordless and Compact.